Then it came and bit captain Steve Smith and Cameron Bancroft where it hurts the most. The light has finally been shed on what was – as Smith put it – a “premeditated action by the leadership group” – then exposed all the scraps and crumbs behind it, which had already begun to surface in recent months. Here’s the part where it gets a little out of hand: heads rolled calling for the kitchen sink and all the bits and bobs to be thrown at the perpetrators right then and there. 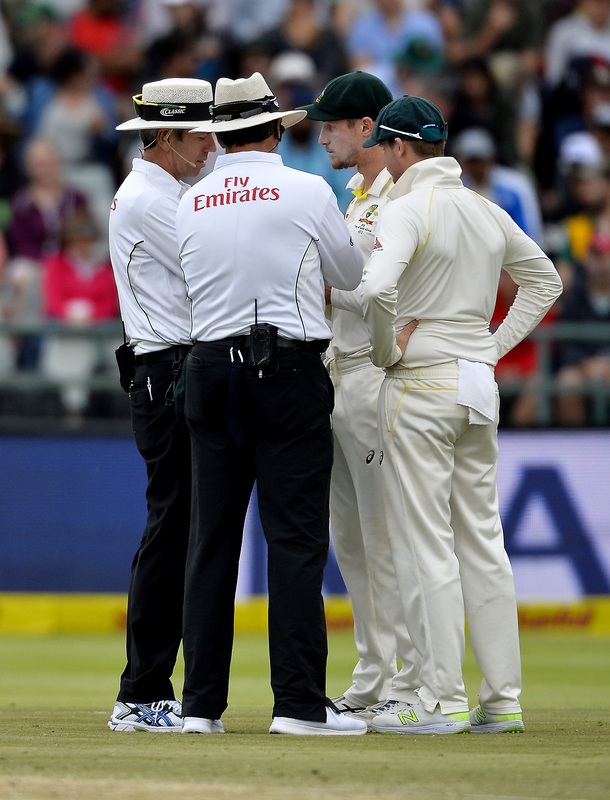 Forget that Bancroft tried to cover up on field, and Smith has lit the fire that burns brightly on ball tampering – the want to have those involved gone right on the spot was insane. Many have missed the mark on: what can be done right there and then, who can apply what penalties, and haven’t checked previous sanctions for ball tampering. For starters, while Law 42 (fair play) well covers this sort of issue, only the officials and/or captains (and potentially in discussion) would have had the authority to rule the match abandoned or forfeited. At the end of the day, South Africa won the test handsomely. But no-one was ever walking off that field unless it was someone involved in the match who called it. All that want to suspend the test? Well, Faf du Plessis is out there. He ball tampered in 2016 (orchestrated or not); he copped 3 demerit points, no suspension. People are crying out for match fixing to make their voice heard and have Smith, Warner, and anyone who was seemingly behind the tampering to go for life. Match-fixing involves money being exchanged between parties, and no-one was deliberately trying to lose the match. The country is very much on side that punishments must be laid bare, and that Cricket Australia must take action. But until Wednesday morning, we know nothing more. Ball tampering itself is foolish, silly, and when caught, means you can’t really have anywhere to hide in 2018. But the proper actions for the time that the situation unfolded were taken; Bancroft and Smith were charged rather quickly – we were learning of the details the next morning in Australia. The International Cricket Council (ICC) handed down penalties very as per their regulations from the penalties table under a level 2 offence. They can’t hand down anymore; it’s now up to Cricket Australia. Public outcry on Twitter to “sack them immediately! Ban them for life! Make them never play cricket again!” Is automated. Smith and Bancroft got hit by the ICC the way they needed to be. If the Cricket Australia contract guidelines hold up, Smith is under the microscope of a potential life ban. Let the process take its course; but let it be swift. Cricket Australia, your turn.